Matlab listbox uicontrols enable basic mouse support, by exposing the ButtonDownFcn callback property. When set, this callback is activated whenever a mouse button (left or right-click) is pressed within the listbox confines. Often this is enough, but in some cases not: since right-clicks do not modify the selected listbox item, we can trap right-click events, but we cannot know which item was clicked-on, as recently noted on the CSSM forum. Another limitation of the basic Matlab listbox is that it only enables simple static TooltipString and UIContextMenu properties – it would be much more useful to have dynamic tooltips and context-menus based on the item on which the mouse actually hovers. These limitations, and many others, can be overcome using the underlying Java component of the Matlab uicontrol. We can get this Java component using my FindJObj utility on the Matlab File Exchange. We can then use the many exposed Java component callback hooks to trap our desired mouse-click or mouse-movement event. ??? The class “eventData” is undefined. Perhaps Java is not running. Thanks for this blog, very helpful!! 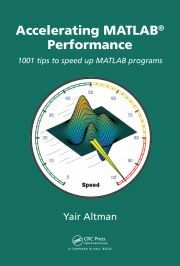 I use Matlab version 7.9 (R2009b). Any idea what is wrong and is it easy to fix? @Patrik – this indicates that for some reason your jScrollPane is an invalid handle when you run the relevant code. Most probably it is not visible onscreen for some reason. Thanks so much for this, it is exactly what I was looking for! Dear Yair, thank you very much for the time and effort you put in this project. There was really the need of it, as for many users that do not know Java, customizing Matlab GUIs is really an uphill task. Related to your post, I would like to ask you how it would be possible to enable mouse wheel scrolling of a listbox, when the pointer hovers within the listbox limits, that is, without first select (focus) the lixtbox by mouse clicking or other means of selection. The behavior I am trying to replicate is really standard nowadays with listboxes (particularly on the net), and I believe, and quite “natural” too! Thank you very much in advance and for your help and congratulations for your site. @Dan – thanks for the feedback. Wheel scrolling can easily be processed by setting jListbox’s MouseWheelMovedCallback property to a Matlab callback function. I’m not sure whether Java raises this event if the listbox is not focused. If so, then all you need to do is to trap MouseEnteredCallback and within its callback function call jListbox.requestFocus(). Subsequent mouse wheel events should be raised since the listbox will gain focus immediately upon mouse entry, similar to the X-Windows behavior. I’ll get to it right away. I am not a “pro” programmer and I’ll try to figure out how to proceed from your trace. I have put in practice your advice and by using the MouseWheelMovedCallback you describe above, it is easy to have the mouse wheel scrolling the list as desired, either by issuing the jListbox.requestFocus() you suggest or by using the Matlab builtin uicontrol(hListbox) function as each of them put the list in focus. Do you think there is an easy way to release the focus (other than clicking outside) and stop the mouse wheel scrolling the list, once the mouse is moved outside the listbox boundaries? @Dan – you could try placing figure(gcf) in your jListbox’s MouseExitedCallback code. This will transfer the focus to the figure, and hopefully remove the focus from the listbox. I’ve been getting a lot of use out of your web site, thank you! I think it has to do with the default mouse-dragging behaviour for listboxes, which changes your selection as you drag your mouse (note: I’m also hoping to get rid of this behaviour). I thought one alternative might be to use MouseMovedCallback, enabled by a MousePressedCallback and cleared by a MouseReleasedCallback, but MouseMoved only responds when the mouse isn’t being pressed. Do you have any advice? Thanks! Another alternative is to directly create a javax.swing.JList, which directly allows drag-and-drop, however I found that led to other complications. Specifically, for my task of making the listbox reorderable, to change the JList’s contents meant creating a Java DefaultListModel for the list; the DefaultListModel’s contents need to be changed one item at a time; and each update triggered a refresh to the JList, causing unstable graphics and sometimes throwing Java exceptions. first of all, thanks for your done work. i don’t know whether this site is still maintained but when calling myfunc1 and myfunc2 there is a typing error. compare it with the implementation of myFunc1&2. large and small letters are swapped. how can I get the “handles” variable of my GUI in the linked callback function. Is there anyway to ban or ignore double click action on listbox ? Hi Yair, I would like to know, how can i create a context menu with the options “Select all”, “Copy”, “Cut”, “Paste” in listbox ? Thanks. @Luis – you can use the built-in uicontextmenu to create the context-menu, and the clipboard function for clipboard access. Take a look at the documentation, both of these are fully supported/documented functions. is it possible to put a callback to the vertical scroll bar? For example I would be interested to detect a double mouse click on it? But is it possible to limit callback only to the knob of the scroll bar, because now the callback is triggered upon press to any part of the scroll bar? @Ilya – perhaps you can get the clicked location (X,Y) and compare this to the knob’s position, ignoring locations outside it. First thank you for your amazing website, it has been really useful for me ! I would like to have different tooltips for the different object of my popupmenu. I tried to use the same idea that you are using for the uicontrol ‘Listbox’ but for a uicontrol ‘Popupmenu’. I just want to have the dynamic tooltips. No appropriate method, property, or field 'getViewport' for class 'javahandle_withcallbacks.com.mathworks.hg.peer.ComboboxPeer$MLComboBox'. @Jonathan – popups do not use a viewport in the same manner as a listbox. You can have more control over the appearance and behavior if you use JIDE comboboxes directly, as briefly explained here and in more detail in my Matlab-Java book. I added the hFig = figure; at the beginning but there is still some part of the code missing especially the part that define jPopup and where you place it. Can you give me some hint ? how can I change background color for jmenu described in the previous example? Arash Marashian (13 days 0 hours ago): Problem Solved. I found out that my version does not have this icon. thanks. Marshall (14 days 3 hours ago): This was a fun puzzle–don’t hesitate to add more posts like these if you come across some other fun ones! Reza (14 days 9 hours ago): I have the same problem. this Java widget got error in compiling via Matlab 2018! Could you please show me how to solve this? GGa (16 days 3 hours ago): There isn’t anything “outside the UTF-8 range”. UTF-8 can represent any Unicode character, as far as I know.